Conor is apparently, a fan of the Sirt Food Diet. This diet is high in sirtuin activators, which help prevent diseases related to age and stress (study here). The diet is best know however, for allowing both dark chocolate and red wine. Conor has also said that he doesn’t eat a huge amount of carbs, presumably relying on a high amount of protein & healthy fats to meet his energy demands. 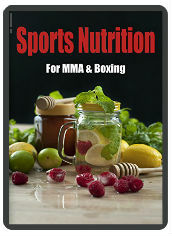 Conor’s Diet would also need to be high in protein, so that he can recovery and adapt to his training sessions. There would also be a need for a lot of calories, due to all the exercise he does whilst training. This entry was posted in Bodybuilding, Fitness, MMA, Nutrition and tagged conor mcgregor, Conor McGregor diet, diet, khabib, sirt food diet, ufc, ufc 229, weight loss. Bookmark the permalink.